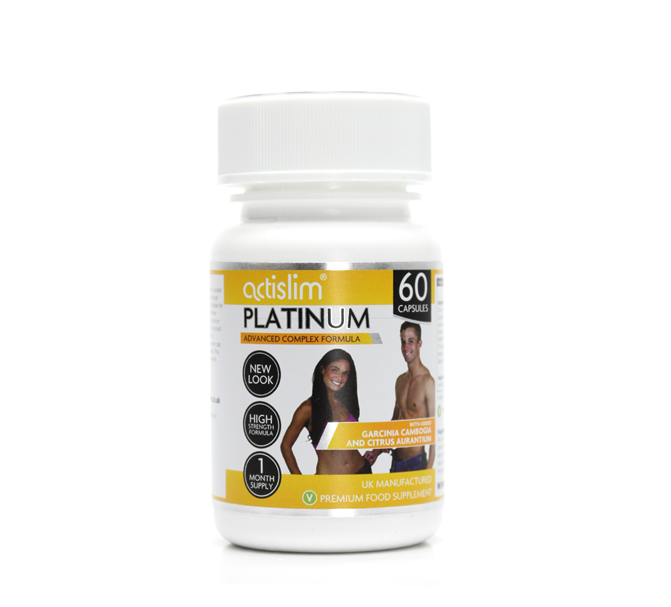 Actislim Platinum | Helping you to achieve your lifestyle goals quickly and effectively! Strongest potency available. UK sourced tried and tested ingredients. Produced under strict quality controls with no artificial ingredients. Best formula. A 100% Pure complex formula containing all of the ingredients found in many of the popular 'single ingredient' lifestyle goals products. Proven to work contains ingredients such as garcinia cambogia, citrus aurantium and green tea. Value for money available in 4 sizes to suit any budget. Actislim Platinum comes in a HPMC vegetarian capsule and does not contain gelatin. 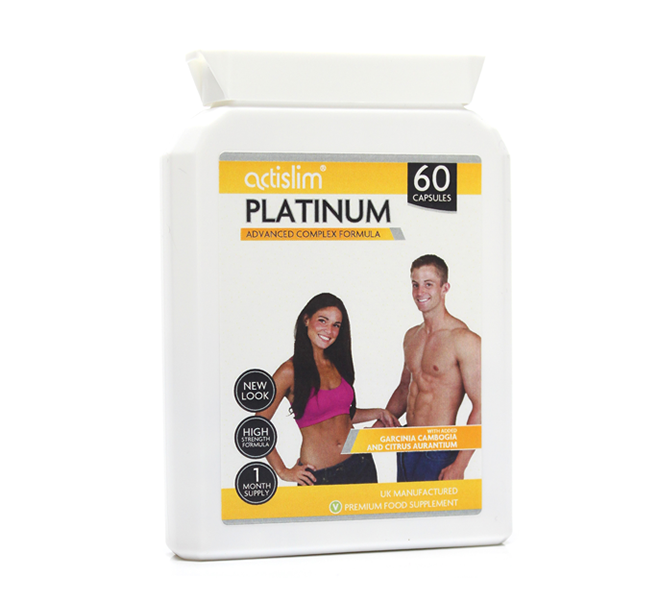 Now with amazing new ingredients, Actislim Platinum is the perfect way to reeach your lifestyle goals! A combination of natural ingredients, Actislim Platinum is designed to help you achieve your desired lifestyle goals, quickly and effectively. Is it a miracle product? 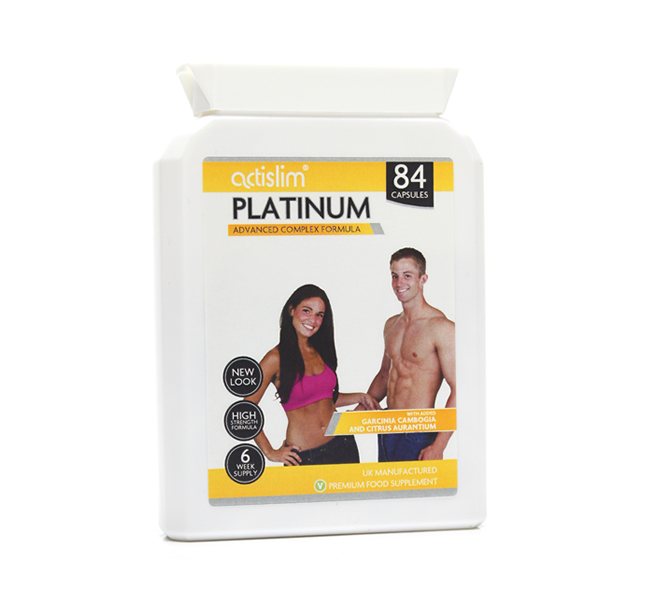 Actislim Platinum will help you to achieve your lifestyle goals goals and works alongside your existing efforts. By working with the product, and not against it, you will see results quickly. Our customers report that for the initial one or two days, they feel more energised and even a little shaky. These effects show you that the product is working and should disappear within a few days. We would always recommend that our customers follow a light exercise program and drink at least 8 glasses of water a day. You should try to eat a healthy diet, cutting out high calorie food items. Also please remember not to take the product after 3pm as this can affect your ability to sleep . May be used by people to support energy and a robust metabolism. This powerful natural ingredient has seen world wide popularity due to it's widely reported benefits for supporting lifestyle goals as a part of a calorie controlled diet. Green tea is taken from the Camellia Sinensis plant. The leaves contain potent levels of several types of polyphenols, in particular flavonoids. Green tea is also believed to improve the ratio of HDL ‘good’ cholesterol to LDL ‘bad’ cholesterol in the blood. It can be found in varying quantities in the beans, leaves and fruits of over 60 different plants with the most common sources being the coffee plant bean and the leaf of the tea bush. Caffeine is widely recognised as being one of the most popular food supplement ingredients for weight management around. Used to enhance the benefits of the entire supplement by promoting nutrient absorption. As a dietary supplement adults to take orally 2 capsules daily; 1 between 9am & 10am, 1 between 1pm & 2pm. Do not exceed 2 capsules in any one day or take capsules after 3pm. It is recommended that this product is taken after food and in cycles of 3 months on and 1 month off until your target weight has been achieved. 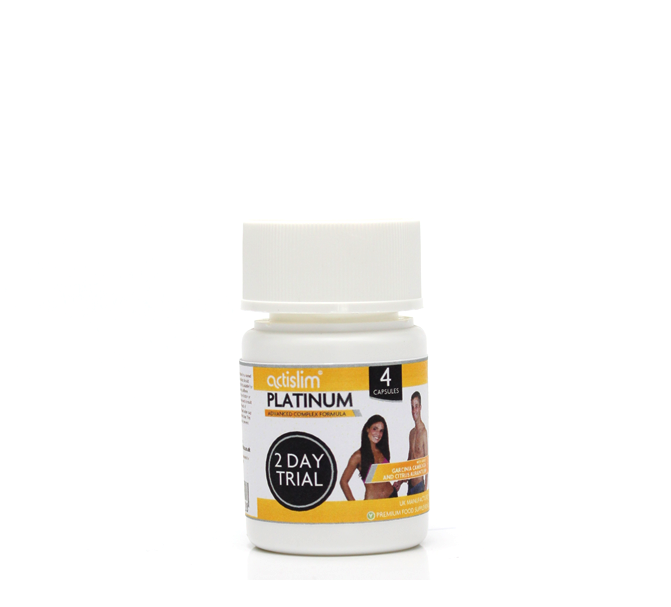 Maximum results are achieved when taking Actislim Platinum along with Actislim Night. DO NOT EXCEED RECOMMENDED DAILY DOSAGE. KEEP OUT OF REACH OF CHILDREN AND DO NOT USE IF THE SEAL IS BROKEN OR DAMAGED. We offer a no-quibble return policy and have become a trusted seller of lifestyle goals products online.